When you put a few kids together in a room with Loom Bands, anything can happen… Of course we recommend some adult supervision for the little ones, but over and above the fun we have looming, there’s a lot going on behind the scenes. We recently caught wind of one very important life skill that Loom Bands are teaching both us and our kids. 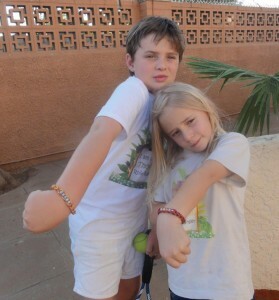 Just across our borders in Botswana, a clever little twosome have used Loom Bands as a means to drive their fundraising efforts and save our rhinos. Not only have they improved their; fine motor skills, visual motor skills, attention span, ability to follow a pattern, emotional regulation, gross motor skills, social skills, they have also learned some incredible entrepreneurial skills. Mark and Melissa in collaboration with their primary school peers have raised BWP28 071 (approximately R34 304.95) for the Thornhill Rhino Rangers. Since 2012 the team have taken every opportunity to raise money through raffles, school fetes, markets and through local shops and businesses in Gaborone. 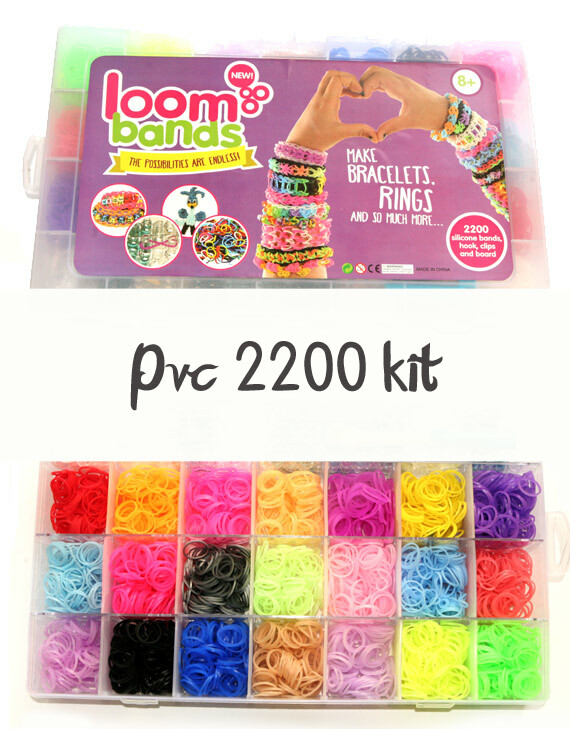 Loom Bands have played an integral part in this process, the children not only sold the usual school fete treats, but they also sold Loom Band kits, Loom Band bracelets and Loom Bands. The funds have been redistributed to several organisations such as; Madikwe Anti-poaching Unit, Khama Rhino Sanctuary and the Mokolodi Rhino Conservation Fund. The efforts of these clever kids have had an incredible ripple effect on the charities they have assisted as well as the Rhinos whose lives have been positively impacted as a result. If you are still intimidated by the thought of making your first Loom Band bracelet, or even scared to try a new design, have a look at our most popular beginner bracelet designs. 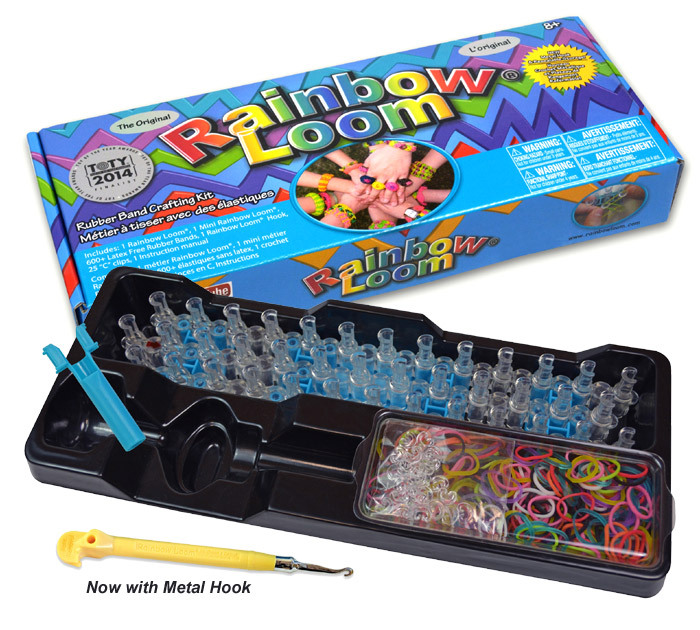 There are an abundance of rewards which come from learning how to make Loom Band bracelets, not least of all, replacing time spent in front of the TV! 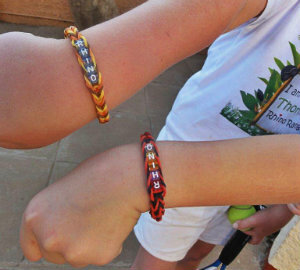 Our first Loom Band beginner bracelet pattern is the Single loom bracelet. It is undoubtedly the easiest of the lot, and we highly recommend you begin your Loom Band adventure with this bracelet. This bracelet is ideal for getting your head around the basic premise of looming. Now that you have mastered the Single loom bracelet, have a look at the Triple Single Loom Band bracelet. This bracelet takes the Single to a new level, without leaving you behind. 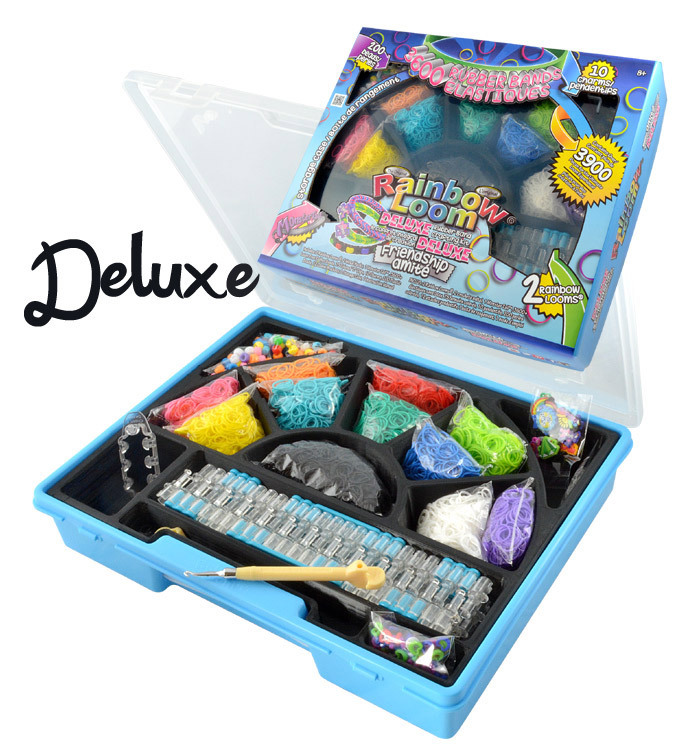 Here you can start experimenting with your Loom Band colours by grading them from light to dark. The next bracelet is the Fishtail. 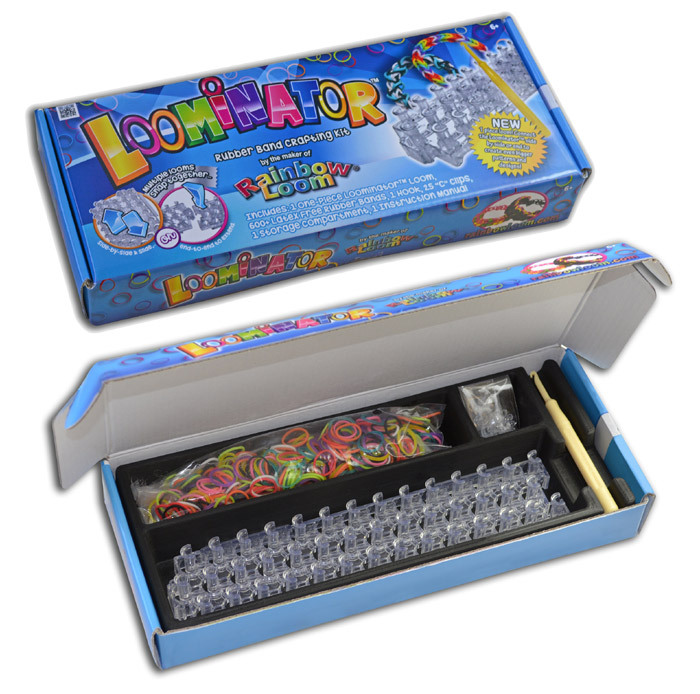 As with the Single loom bracelet, you can use a mini loom tool, or you can use your loom board. This bracelet looks especially cool when you use lots of colours but you can also alternate between two colours. Melissa and Mark added letter beads to their designs to spell out the word rhino! Now that you are ready to step things up a little, check out the Inverted Fishtail loom bracelet. In this tutorial Sarah uses quite a few colours in a unique way, the white looks great against the other colours! When making the Chevron bracelet you will use three pins on your loom board, but it’s no more difficult than the other bracelets. The Chevron bracelet only looks more complicated than it is because the pattern created by the technique is rather elaborate. That’s what makes this bracelet so pretty though. The last bracelet on our list is the Frilly Braid bracelet. This bracelet is a little more complicated than the previous bracelets listed, but it’s absolutely worth learning how to make because it is so pretty! Now that you have graduated from the most basic tutorials, to a new level of looming mastery, you can experiment with a 3D Loom Band design. This Kaleidoscope Turtle tutorial has been re-pinned over 3600 times! 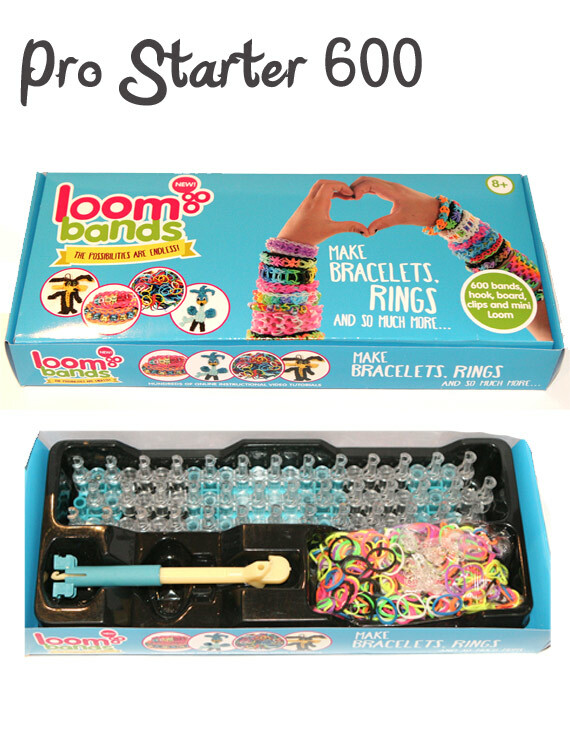 Now that you know exactly what you are doing with your Loom Bands, why not take it to the next level? Indulge your entrepreneurial fantasies and sell your awesome Loom Band bracelets for some extra bucks, just like Mark and Melissa.